Meet the cast of this year’s Medora Musical! 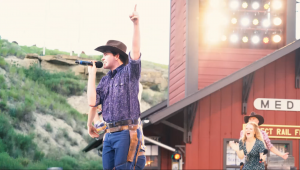 Hosts Chet Wollen and Bill Sorensen to lead star-studded Medora Musical cast made up of returning talent, new performers, and several North Dakota natives! 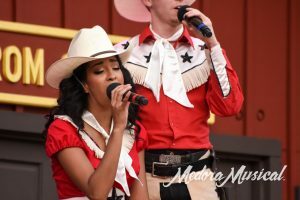 Each year thousands of performers audition at locations in North Dakota, Minnesota, Tennessee, and Florida to find the best talent for the Medora Musical. So let’s meet the cast! 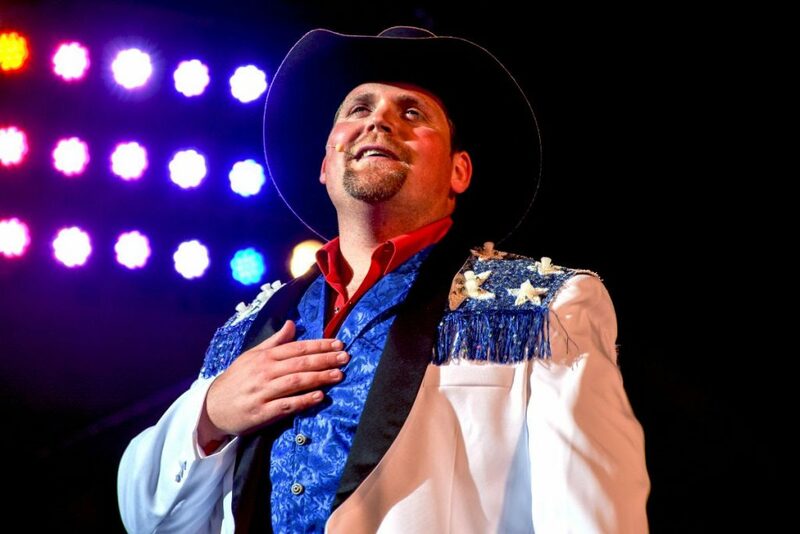 Chet Wollan, a Medora favorite is back to host the Medora Musical. Chet (pictured above) is originally from Minneapolis, Minnesota but now lives in Knoxville, Tennessee with Princess of the Prairie, Candice Lively Wollan. This will be Chet’s fourth year hosting the Medora Musical and his 13th year starring in the show. 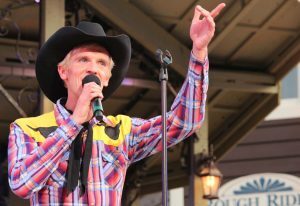 Bill Sorensen will return to the Medora Musical for his “final ride” co-hosting. Bill has been performing in Medora for the past 40 years as a magician, comedian, and entertainer. Don’t miss this dynamic duo together on stage this summer! Read the full press release here about Bill Sorensen’s time in Medora, and what’s next for Wild Bill. 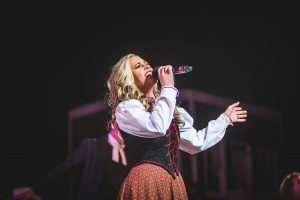 Jessica Bradish is from Des Moines, Iowa and has starred as a vocal powerhouse in the Medora Musical for the past four years. 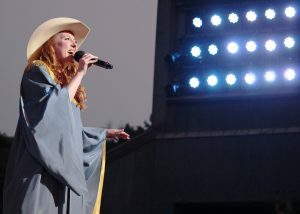 Andrea DeVriendt is making her Medora Musical debut from Madison, Wisconsin. 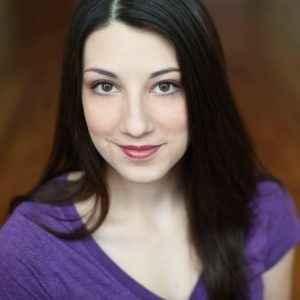 Rachel Endrizzi is coming from Cleveland, Ohio to make her debut as a Burning Hills Singer. Misti Koop is a North Dakota native from Grand Forks and a fan favorite. She has starred as a Burning Hills Singer for the past six years with a number of featured roles during her time in the Medora Musical. Kevin Korczynski is from Bel Air, Maryland. He has starred in the Medora Musical for seven seasons. Taylor Leet, from Bismarck, North Dakota, is back! Taylor first starred in the Medora Musical in 2016 and is back for her fourth season. 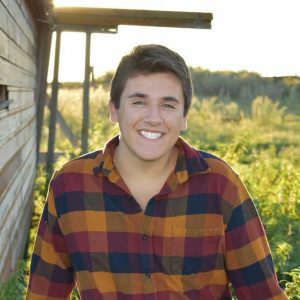 Tryton Landsiedel, from Bismarck, North Dakota will star in his very first Medora Musical this year! Tryton has honed his skills as a Kat Perkins Rising Star Camper, then Junior Camp Director and is now ready to make his debut as a Burning Hills Singer. Ben Massouras is from Phoenix, Arizona and first starred as a Burning Hills Singer last season. Ken Quiricone comes to Medora from Stratford, Connecticut. This will be Ken’s eighth year as a Burning Hills Singer. Ken has played feature roles in the Medora Musical including the one and only, Colonel Theodore Roosevelt. Gerry Williams is from Durham, North Carolina and previously starred in the Medora Musical in 2013 and 2014. 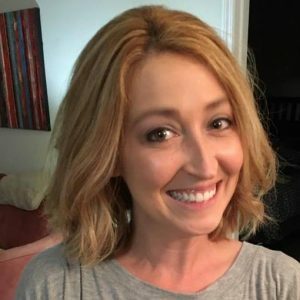 Candice Lively Wollan, the “Princess of the Prairie”, comes to us from Strawberry Plains, Tennessee for her ninth year as a Burning Hills Singer. Candice’s absolutely superb vocals have made her a fan favorite for years and audiences will again be graced by her talent in this year’s Medora Musical! 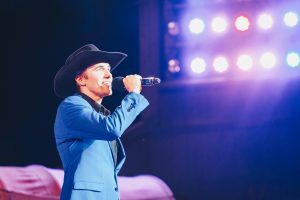 Andrew Crowe returns to the Medora Musical bandstand as the Bandleader and Fiddle player from Raleigh, North Carolina. Andrew also plays harmonica, guitar, and anything basically anything else you can think of. Hand him a hand saw – he’s played it before. Junior Mercer is from Pigeon Forge, Tennessee and is returning to the Medora Musical as the pedal steel player. Perry Orfanella joins the Coal Diggers Band for his second season as the bass player from Carmel, New York. Adam Vogel from Melrose, Minnesota returns as guitarist. Carson Hooley joins the Coal Diggers Band as a drummer. Travis Smith is coming from Columbus, Ohio to play keyboards and be the vocal captain. 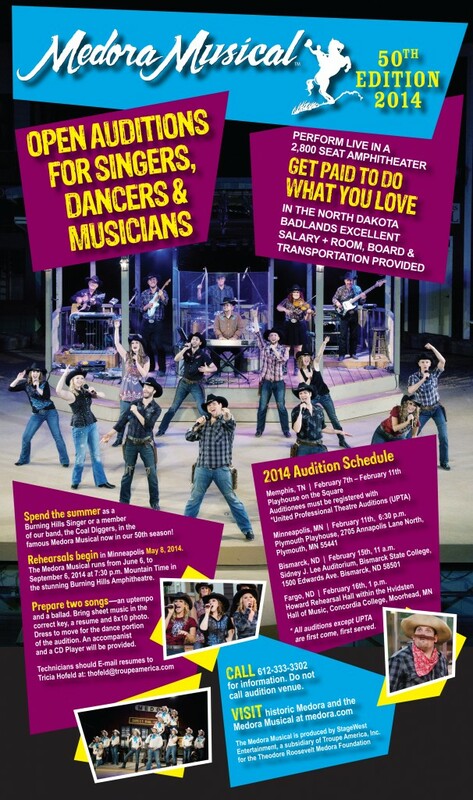 Auditions are coming up at the end of January, don’t miss your chance to star in the Greatest Show in the West, the Medora Musical! 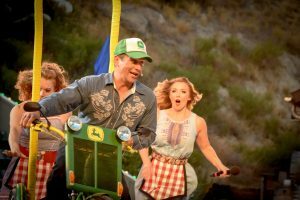 Performed live and outside 100 nights in a row this western musical complete with history, live animals, fireworks, and some good ‘ol downhome country music is a show unlike any other! Roger Rettig’s love of music has led him from England to Medora Musical stage. This guest blog was written by Linda Sailer of the Dickinson Press. The full article can be found on the Dickinson Press website. MEDORA — Over the past 10 seasons of the Medora Musical, Theodore Roosevelt Medora Foundation President Randy Hatzenbuhler said has come to know Roger Rettig well. Cast of the Medora Musical! Back row, from left: Carolyn, Delanie, John, Lars, Abby, Candice, Kevin, Kimberly. Front row: Gerry, Damon, “Queen of the West” Emily, Chet, Misiti. Not pictured: “Wild West Prestidigitator” Bill Sorensen. (MEDORA, ND) – The Theodore Roosevelt Medora Foundation, in Conjunction with Stage West Entertainment, announced today that auditions for the 2014 Medora Musical will begin in early February. Auditions will be open for singers, dancers and musicians interested in becoming members of the Burning Hills Singers and Coal Diggers band during the 50th year of the Medora Musical. 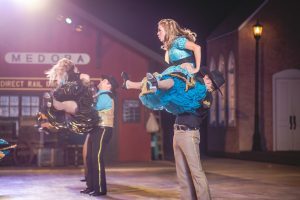 The Medora Musical performs nightly through September 8 this year and we’re quickly approaching the opening night of Variety Act #2 of 4. Don’t miss BreakSk8’s final performance on June 30. Back by popular demand, George Casey returns to the Medora Musical. He was born in a remote seaside village on Ireland’s west coast that is legendary for its storytelling. Growing up in a large family, he saw humor everywhere and honed his skills as a comic at the expense of his brothers and sisters. In 1970, George immigrated to the U.S., earned his citizenship and now calls Branson, Mo., home. Some of the acts George has opened for and toured with include Rosemary Clooney, The Osmond Brothers, Ray Price, Three Dog Night, Brooklyn Bridge, Donald O’Connor and Bobby Vinton. He has performed at Caesar’s Palace, The Sahara, and The Riviera Hotel and Casino in Las Vegas; and for corporations including McDonald’s, Hasbro, AT&T, Lucent Technology and Panasonic. Family Fun Center – New in 2012! Summer is heating up making it the perfect time to check out the Medora Family Fun Center, brand new in 2012. The Family Fun Center is one of many new attractions this summer as a result of feedback from our many patrons. The Family Fun Center features a rock climbing wall, dual bungee jumpers, and is crowned by “the world’s largest inflatable water slide!” The Family Fun Center is exciting entertainment for the entire family… that includes you, parents! Let that child inside come out and play! We promise not to tell! Admission to the Family Fun Center a very reasonable $8/person for an unlimited two-day pass. Independence Day is a special time of celebration for many and Medora is no exception! Since July 4th is on a Wednesday, we’re celebrating twice! Fun, family parades held at 3:30 p.m. MDT through the streets of downtown Medora on July 1 and 4. Out-of-town entries are welcome! After the patriotic Medora Musical on July 4th the crowd makes their way downtown to enjoy a spectacular fireworks performance fired from the buttes on the east end of town. All Veterans and their families are invited to a special day in Medora as we honor their service to our Country. Veterans will receive a FREE Medora Musical ticket and a FREE ticket to the “Adolph Burkhardt Concert.” Tickets to the famous Pitchfork Steak Fondue, along with ALL tickets for spouses and family members must be purchased in advance. We are requesting all veterans to wear their service caps to honor their branch of service. Please call 1-800-Medora-1 in advance to make reservations. A block of rooms is set aside for Veterans Day at the Badlands Motel and the Bunkhouse Motel. Just ask for the Veteran’s block when calling for reservations. If you make reservations for the Badlands Motel, the Bunkhouse, or the Rough Riders Hotel. A 60-million-year-old fossil site containing crocodile, champsosaur (crocodile-like animal), turtle, fish, and other fossils is being excavated in the beautiful and rugged badlands near Medora, North Dakota. The North Dakota Geological Survey and Theodore Roosevelt Medora Foundation will co-sponsor a scientific, professionally conducted, fossil excavation at that site in July 2012. Public participation is invited; open to anyone 12 years or older. There will be three Family Dig days available, from July 27 – 29th (open to anyone 6 years or older, with adult supervision). Enjoy outdoor adventure in the North Dakota Badlands. Reserve lodging, Medora Musical tickets, Pitchfork Steak Fondue tickets & more. Call 1-800-Medora-1. *Preregistration is required. Payment is due at time of registration. Limited to 8 people per day. Participants ages 12-17 must be accompanied by a paying adult. Registration ends July 1. Moderate hiking required. Rain or shine. This trick golfer and inspiration speaker will be performing at the Tjaden Terrace during the Pitchfork Steak Fondue starting at 7 p.m. MDT. 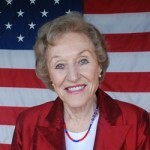 Medora, N.D. – Two events in early July offer a patriotic salute to our country’s independence and those who have fought to maintain our freedom. Celebrate the Fourth of July Medora style. Line up along Medora’s Main Street to watch the Independence Day parades, starting at 3:30 p.m. daily July 1 and 4. 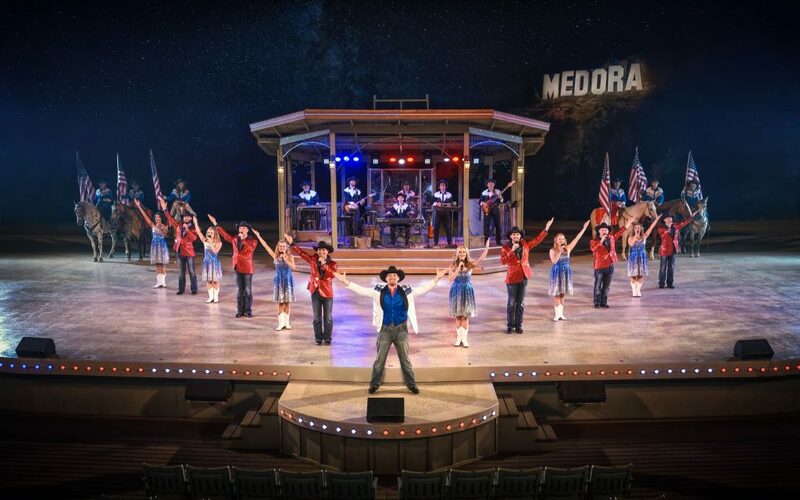 Following the Medora Musical performance on July 1 and 4, fireworks will light up the sky with an amazing display of vibrant colors, patterns and presentations. The professional fireworks show is conducted by RES Specialty Pyrotechnics, an international award-winning pyrotechnics company. All veterans and their families are invited to a special day in Medora to honor their service to our country. As a token of appreciation, all veterans will receive a free ticket to the Medora Musical and the Adolph Burkhardt Country Western Concert. 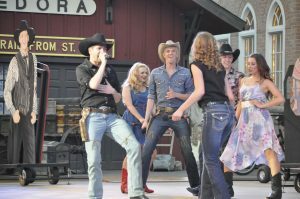 The day-long recognition event features activities like an ice cream social, flag retiring ceremony and a special presentation before the nightly performance of the Medora Musical. Veterans are asked to wear their service caps to honor their branch of service. More information about both events can be found at www.medora.com.